Media competence: Do we have it? 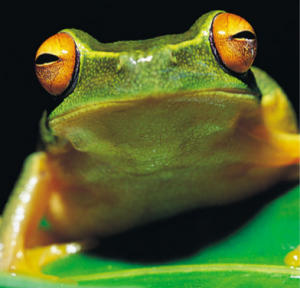 What the FROG is Media Competence? I started my career as a media producer, not an academic. The reason I went back to university to earn a doctorate was to learn how to evaluate my media work and make it more effective. So I bring multiple perspectives to this topic. What are the goals of media competency, and how will we know if we’ve achieved them? Let me come at this issue by contrasting media literacy with health literacy. Imagine that you visit the doctor, and she says you have high blood pressure and should go on medication. To make sense of this, you need to know something about how your body works, what high blood pressure means, why it might happen, and how a medication might work to fix it. Then you need to be able to read the medication label or package, and understand how to use it safely and effectively. At a higher level, you might seek out more information about blood pressure, perhaps find other possible treatments, and take some control over your health. Media literacy is similar in some ways, but much more complicated. For example, you need to understand how a variety of technologies work, and get a sense of how to approach new and evolving technology. Also, information is presented differently in different media. If you’re watching a film, the story may jump around in space and time, and you need to understand the visual grammar the filmmaker uses to indicate that. The motivations for media competency education are also complicated. Consider this quote from the Alliance for a Media Literate America: “Media literacy represents a necessary, inevitable and realistic response to the complex, ever-changing electronic environment that surrounds us.” This conjures up a mental image of a child buffeted about by a swirling sea of media content, and we need to save him from drowning in it. For example, Do I know what a mouse is for, how to get on the Internet, avoid spam and viruses, and work the game controls? Can I follow what’s going on? Can I judge the value or quality of it: who’s got their facts right and up to date? Can I write my own song, make my own game? Do I know how to make good use of different types of media for different purposes? Unfortunately, in practice, “competency in creating” may mean, Can you make a PowerPoint of your school report about frogs? Many (perhaps most) teachers may not know how to do more than that. We’ve talked at this conference about how electronic games create meaning. Children naturally want to decode the world around them: Why is the sky blue? Why do leaves turn orange and red in autumn? This can be the foundation of science literacy. Ideally, media competence education would work with that natural curiosity and desire to decode the world. At its worst, PowerPoint can remove the story and drain the meaning from these questions. It can pin dry facts down, like dead butterflies, with a series of bullet points. But there are good arguments for media competence training. Certainly, younger children may need help understanding how media work. On September 11, 2001, many kids assumed that each replay of a plane hitting a building represented a fresh disaster, or that their school or home would be a target. Children also need help understanding motives of media creators, as when separating ads from entertainment. And of course, our children spend a huge proportion of their waking hours with media. Media use jumps by the preteen years. In the Kaiser Family Foundation’s 2010 survey, kids aged 11 to 14 spent almost nine hours a day with electronic media. This included over three hours a day on computers and game consoles. Clearly the motivation behind or focus of media literacy education tends to be protecting children: from commercial exploitation, from harmful stereotypes, and from anti-social values and behaviors. Here is one typical media literacy approach, that parents (or older siblings) might use with children and young teens. Who created this message and why are they sending it? Who owns and profits from it? What lifestyles, values, and points of view are represented in this message? What is omitted from this message? Why was it left out? How might different people interpret this message, based on their own experiences? Now, this is not a bad approach to teaching media literacy. It works well for teaching kids to critically analyze media aimed at selling them toys or sugary cereal. But how do we take them beyond that, to higher competencies? And why should I, or someone else, care about this media “message”? When producing your own media content, this may be the most critical question. It’s also notable that this type of media literacy education focuses on traditional, what you might call “one-way” media. Most media (TV, books, music) are one-way: the child’s reaction to what is seen or heard does not affect what happens next. The child does bring his or her own meaning and interpretations, of course, based on his experiences, developmental stage, adult comments and questions, and so on. Video games, by contrast, are multi-way. Players interact with the game, and often also with other players. Children are creators and shapers of the media experience. We may need to encourage educators and researchers to expand their thinking about media competence to encompass this reality. Media literacy is about much more than protecting children from media content, and teaching them to drive safely on the information highway. It’s about creative expression, seeing the world differently, sharing an experience. Video games may be a way to avoid that “dead-butterfly PowerPoint” way of teaching. We can teach children to be healthy/effective consumers of media content as they interact with and help to create media. Most adults in positions of authority don’t understand video games, perhaps aside from simple games such as Tetris. Why not encourage children to teach us to be video game literate? As I think back to some of the research I did at Harvard, our focus group discussions with 13-year-old boys included what one could think of as media literacy education. We talked about issues such as: What makes a game fun to play, or fun to play more than once? Does a game need violence to be fun? Also, research suggests that teens like games with elements of realism (like the way characters talk or react or feel) but grounded in a fantasy world. They don’t like games that feel or look too realistic. Why might that be? Let me end with one last thought: Can we teach children to use different media to tell a good story? To really engage other people? To me, that would be the ultimate test of media competence. Expert on using media to change attitudes and actions that promote health. Co-founded the Center for Mental Health and Media at Massachusetts General Hospital/Harvard Medical School. Internationally known researcher on video game violence. Author. Media producer. Speaker. Consults to nonprofits, foundations and corporations. What can we say about teen suicide?